Looking for something memorable to do with your golf game this year? Consider supporting the 11th Annual Folds of Honor Patriot Day, held Labor Day weekend, September 1-3, 2018. 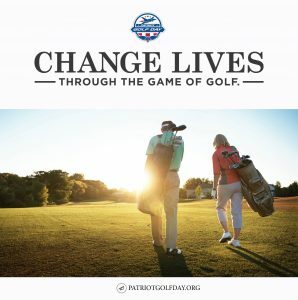 A joint initiative for both the PGA and the USGA, Patriot Golf Day enlists the support of public and private golf courses throughout the country. These facilities host a variety of fundraising events ranging from tournaments, putting contests, silent auctions to dinners and more. Donations provide educational scholarships to the children and spouses of service members, fallen or disabled, while serving our Country. 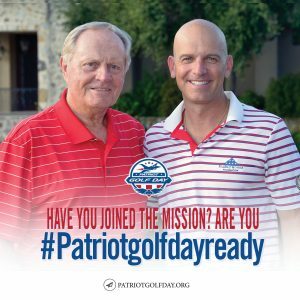 Chaired once again by none other than Jack Nicklaus, Patriot Golf Day has become the largest grass-roots golf fundraiser in America. 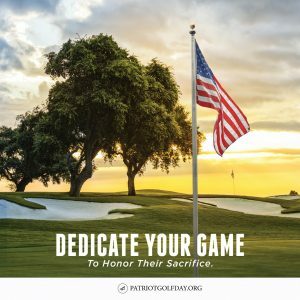 PushNPutt Golf Products proudly advocates for Patriot Golf Day. Our “Patriot” flagstick model was originally designed for a putting contest held as part of a Patriot Golf Day event in 2017.